A semi-rural New Jersey community about 45 miles outside of New York City seems like an unlikely home for the most important breakthroughs in telecommunications of the 20th century. But that’s exactly what happened at Bell Labs’ Holmdel facility in the 1960s. Holmdel was built by the legendary Finnish-American architect Eero Saarinen in 1962—inside, it housed some of the most influential experiments and breakthroughs of the century, like the development of the laser by Arthur L. Schawlow and Charles H. Townes, and the development of the first cellphone network by Richard H. Frenkiel in the late 1960s and 70s. Holmdel was ultimately abandoned—though it’s in the process of being turned into a mixed-used commercial development. But for more than four decades, it was the center of the telecommunications revolution. 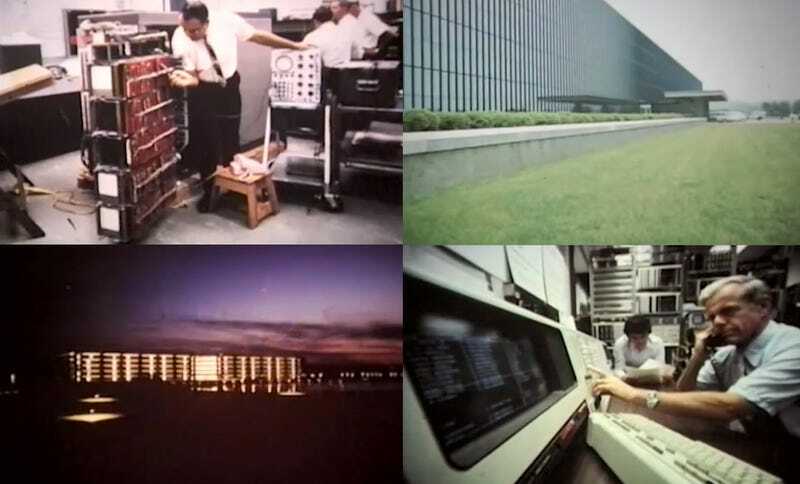 In a video uploaded by AT&T today, we get a glimpse at what life was like for Bell Labs’ 6,000 workers inside this futuristic office: From the excitement surrounding the design and construction, to the community that sprang up around it. The full video follows the life of the building from the optimistic 1960s, into the Vietnam War, into the deregulation of the 1980s. There are accounts of softball teams, model railroad clubs, and choirs at Holmdel.